By now you’ve heard the term Internet of Things (IoT) many times. It’s one of those IT trends that has everyone thinking and while it may not be impacting all of your customers yet, it is certainly something that they are talking about. The Internet of Things is an industry term that refers to connecting everyday objects to the web – allowing them to send and receive data. The new rule of thumb is anything that can be connected, will be connected. Going beyond computer equipment, it includes wireless devices, Smart appliances, networked sensors, and more. But why would you want so many connected devices talking to each other? The answer is to create business advantage. With the rise of virtualization and the cloud, many organizations have moved servers and IT functions to colos or the cloud decreasing their reliability on in-house staff and infrastructure. But despite the reduction in IT staff and assets, what remains in each of your customer’s sites is a fringe network that needs to maintain a connection to the servers in the cloud. The result is increased reliability on the network connection. Consider the increased criticality of the network in conjunction with the tremendous increase in network traffic created by the Internet of Things, and all of a sudden, the pressure is on to maintain 100% network uptime. In response to this rise in network traffic and the need for guaranteed uptime, chances are your customer organizations are constantly adding network capacity and back-up power. In all likelihood, this new networking gear is jammed into an already crowded rack in a remote closet or area of the building that wasn’t originally designed to house and support IT gear. That means there is a lot of heat being generated in a space that may not be adequately ventilated. Given the network criticality, monitoring these remote closets with high-density racks of networking gear is imperative. 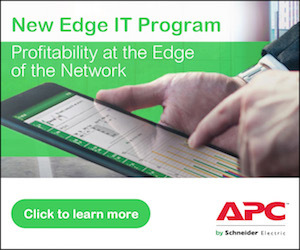 NetBotz from APC has long been the industry standard for monitoring temperature, humidity, and door contact in data centers. But for remote closets, connecting wired NetBotz appliances can be cumbersome when it requires snaking network cabling through the ceiling and walls. But NetBotz wireless sensors make it simple to monitor remote equipment regardless of where it sits. Designed to deploy simply and easily, the NetBotz wireless sensors can be installed virtually anywhere in a matter of minutes. Compatible with the NetBotz 400 and 500 series appliances, the NetBotz wireless sensors can wirelessly connect via the NetBotz USB Coordinator & Router as far as 50 feet away from the NetBotz appliance. With special magnets designed specifically for use with IT gear, the NetBotz wireless sensors can be stuck to the side or door of a rack in seconds with a magnetic connection strong enough to withstand vibrations and door slams. To monitor the temperature, humidity, and door contacts in a remote rack, all your customer needs to do is plug the NetBotz USB Coordinator & Router into their existing NetBotz 400 or 500 Series appliance, snap a NetBotz wireless sensor to the rack and turn it on. Within minutes, the wireless network will find the remote device and it will show up in the same management interface as the rest of your customer’s wired NetBotz sensors. Recent trends in IT such as the Internet of Things have increased network criticality to a point where loss of the network connection could temporarily shut down your customer’s business. Knowing that’s not an option, it’s up to you to help your customers with solutions to protect the edge of their network and NetBotz wireless sensors are the ideal way to monitor environmental conditions and human contact in remote network closets. For more information about NetBotz, visit our website.